Whether you're rinsing off after a surf session or washing your dog before it jumps in the car, the RinseKit Portable Shower will help you fulfill those needs. 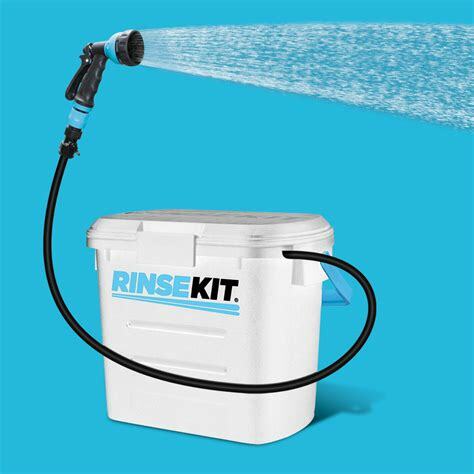 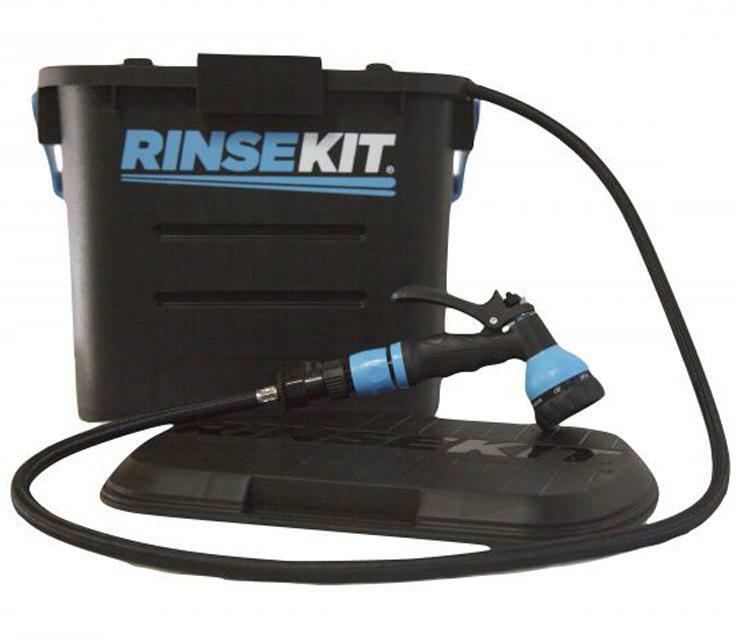 Without the hassle of pumping or batteries, RinseKit delivers a pressurized spray for up to three minutes! 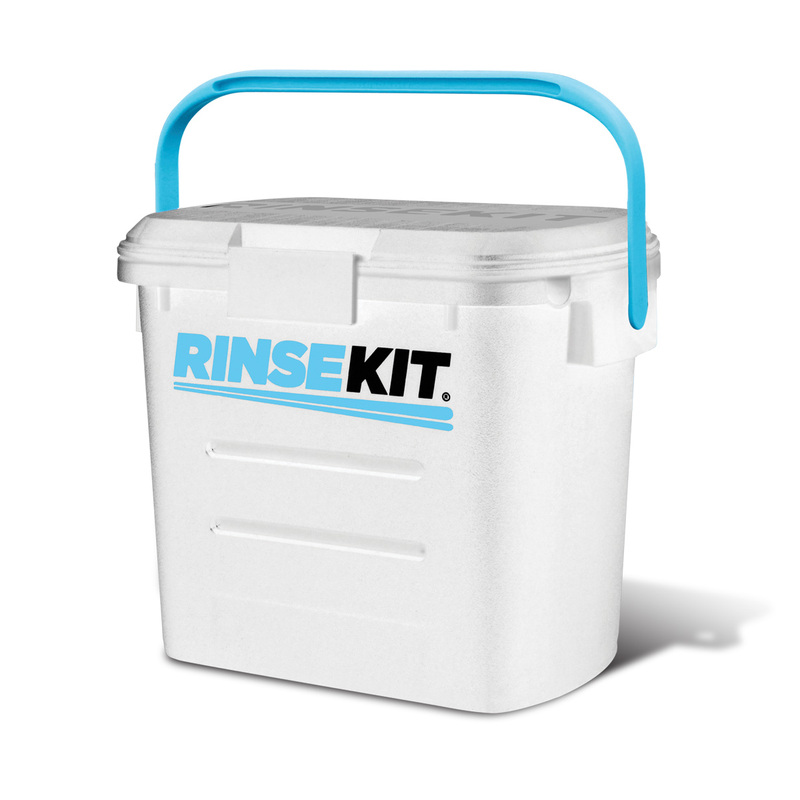 This portable shower stores the strength of a regular household spigot or sink (with adapter), can be quickly filled with hot or cold water, and holds up to two gallons of water. 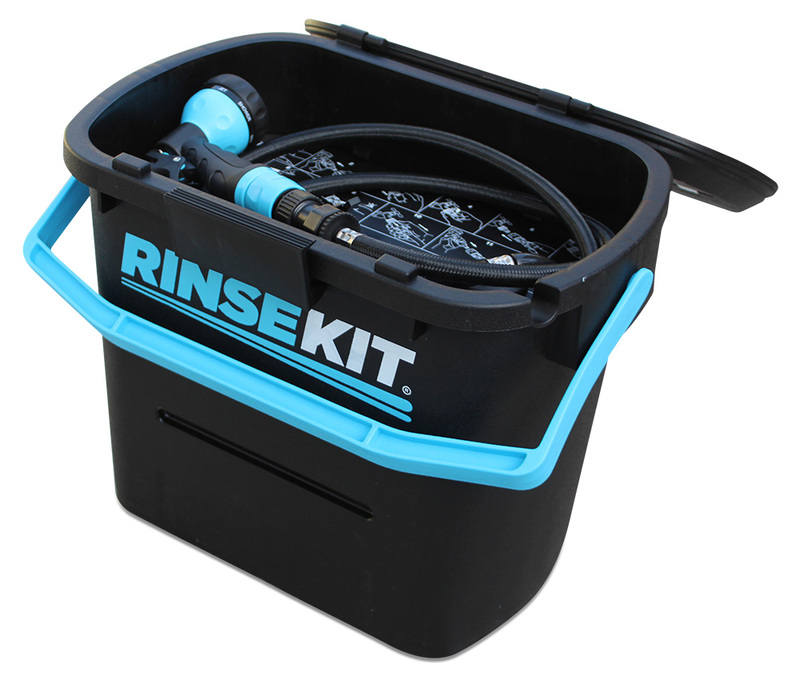 Imagine all the endless uses of having a hose-to-go!